Author(s) Bennett, David J.; Jennings, Richard C.
World population is forecast to grow from 7 to 9 billion by 2050, 1 in 6 is already hungry and food production must increase by 70-100% if it is to feed this growing population. No single solution will solve this problem but recent developments in the genetic technologies of plant breeding can help to increase agricultural efficiencies and save people from hunger in a sustainable manner, particularly in African nations where the need is greatest. These advances can rapidly incorporate new traits and tailor existing crops to meet new requirements and also greatly reduce the time and costs taken to improve local crop varieties. 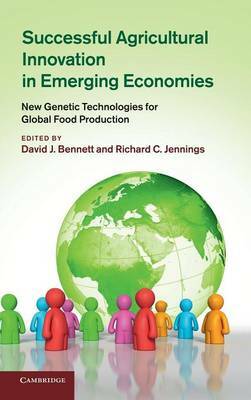 This book provides a collected, reliable, succinct review which deals expressly with the successful implementation of the new plant genetic sciences in emerging economies in the context of the interrelated key regulatory, social, ethical, political and trade matters.